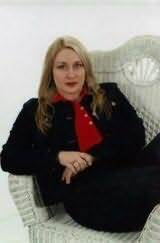 Gayle is a Southwest Virginia based author who is working on the Daphne Martin Cake Decorating Mystery series. The first book in the series, Murder Takes The Cake tells the story of Daphne Martin, a forty-year-old divorcee who returns to her fictional hometown of Brea Ridge, Virginia to start her life over. She has left behind an ex-husband who is in prison for an attempt on Daphne's life, a dingy apartment and a stale career. She has started fresh in a new home with a new career, Daphne's Delectable Cakes, a cake-decorating company Daphne runs out of her home. She is thrilled to be living closer to her beloved niece and nephew, although being close to other family members brings up lifelong resentments and more than a couple complications.